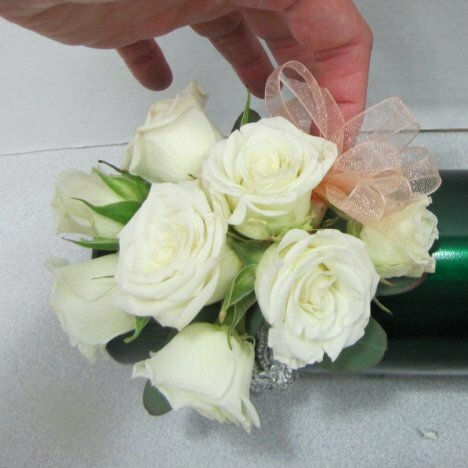 Your pre-made ribbon loops are now going to be glued into place between the rose heads. 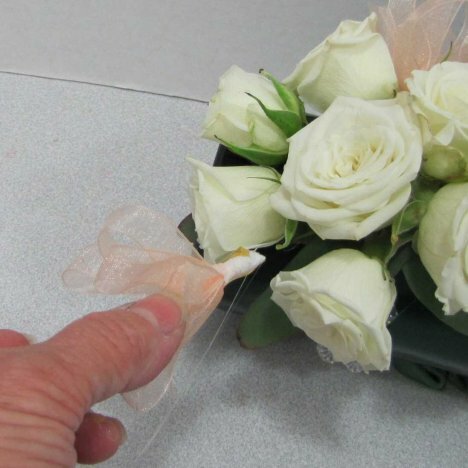 Apply floral adhesive to the taped stems just as you did with the fresh rose heads. 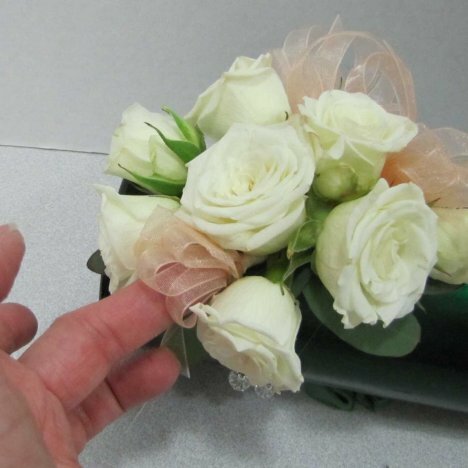 Tuck into place between the flower heads, remember that the loops are an ACCENT to the flowers, not the other way around. 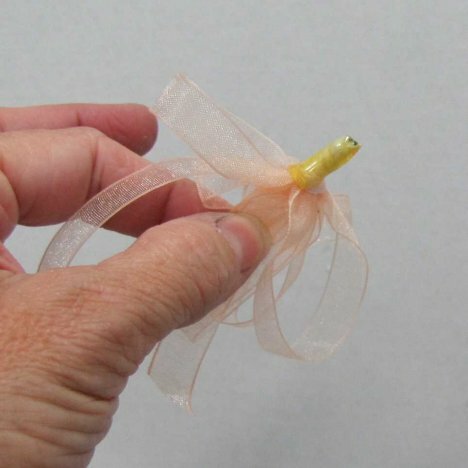 Tuck them in where they are pleasing to the eye. You don't have to worry about being perfectly symmetrical at this point. 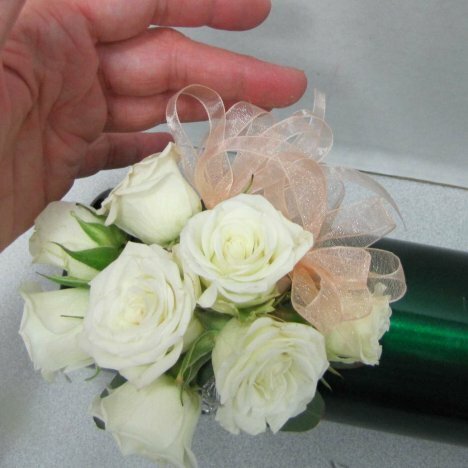 Don't forget the underside of the corsage as well. 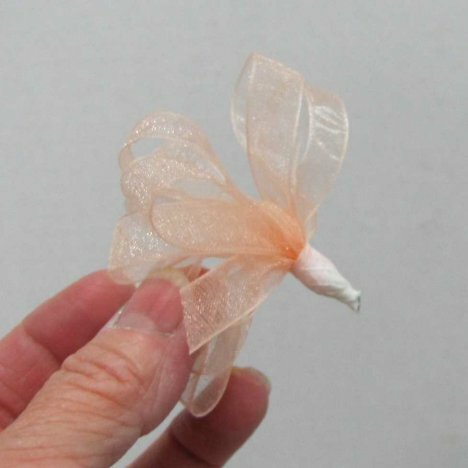 You may have to press in lightly for a few seconds, giving the glue time to adhere. 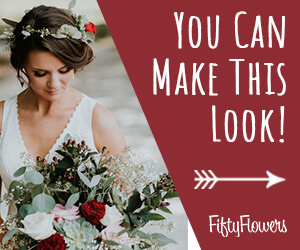 Make sure it's deep between the flower heads. 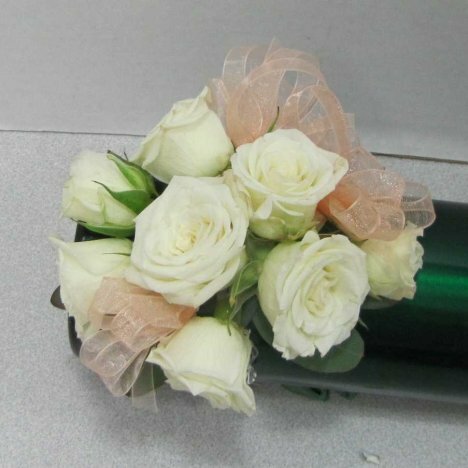 You'll discover that gluing ribbon into place is much faster and easier than wiring each rose and taping the ribbon into the corsage!